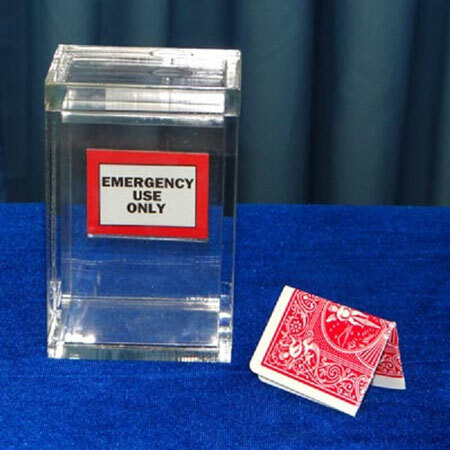 Make your spectator's signed card appear inside a clear box! Peter Monticup created an EXTRA online video EXCLUSIVELY for our customers who purchase the Clarity Box trick! Make their card or bill appear from nowhere! Beware the individuals selling a knockoff of this item for half the price. They may be using a photo of the official trick, but that's not what you'll get. Ours is the REAL DEAL, direct from David Regal. Watch Peter Monticup as he shows you his own secrets and invaluable tips for handling and presenting the CLARITY BOX trick! YES you can use it with a SIGNED CARD, a BILL or a WRITTEN PREDICTION! Imagine performing a signed card effect with a CLEAR box sitting in full view of your audience since before the trick even starts! 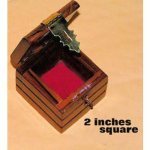 The box has a folded up playing card inside. You let your spectator choose a card from your deck, sign it, and then put it back in the deck. Of course, the card vanishes from the deck. 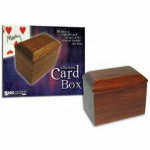 Then imagine ending the trick by pouring that card out of the box- YES it is the spectator's signed card! 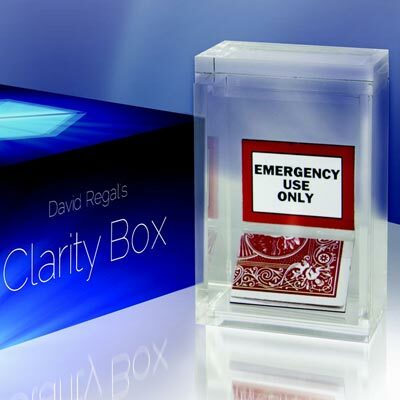 David Regal has created one of the cleverest and most deceptive devices with his Clarity Box. Do the signed card routine, do a bill switching routine, do a prediction routine. YOU GET ALL THE GIMMICKS. And you get so much more! Comes with everything you need to CUSTOMIZE your box too! 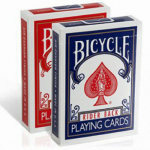 You supply your own playing cards. For closeup, this box doesn't work well because you have to be careful of angles. But for stage, there is no trick you can do that will top this. Wow is this strong! I also like that there are other routines you can do with this such as a signed bill or mentalist type predictions, which makes the box very versatile. I also love the high quality. The switch itself looks incredible. It looks so real that you will fool yourself. This switch is just about as close to invisible as you can get. The illusion is so cool you can entertain yourself with it! Yes, this is fairly expensive, but well worth the price. You get a show stopper of a trick. There is nothing else like this, believe me. You also get little stickers to customize the gimmick, and even stickers to decorate the box if you want to. You also get the bonus video that shows you exactly how to set up and perform this trick, so you don't have to guess. This is an investment worth making. You can't beat this deal. Not only is this a great trick, but you don't even have to wonder how to do it or struggle with the printed instructions. The bonus video that Peter Monticup provides is all you need. Buy this item - get 80 Rewards Points!